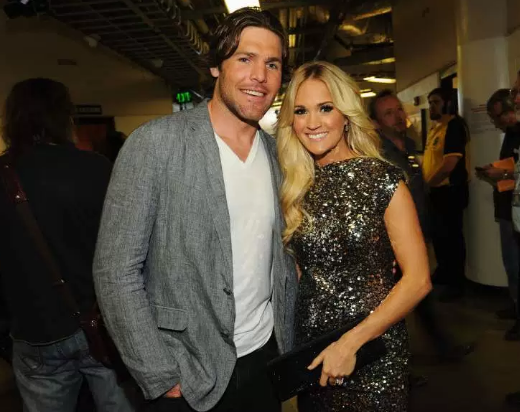 Los Angeles, CA, United States (4E) – Country singer Carrie Underwood is very busy with her tour now but many reports have surfaced claiming that she is ready to have her second baby with her husband Mike Fisher. The mother of one is said to be thinking of babies and has set her mind on wanting a second bundle of joy while she is on tour. Underwood reportedly wants to try and have another baby with Fisher by the end of her tour late this year. The 33-year-old is set to finish her “Storyteller” tour by mid-December and she is reportedly planning to make their family bigger by then. Underwood and Fisher, 36, share a son together named Isaiah, who is one year old. An insider shared more about Underwood’s thoughts about having a baby. The insider said, “Carrie has always wanted a big family and that’s what she plans on concentrating on once her tour ends. She wants her son Isaiah to have some brothers and sisters, and for them all to be close in age.” With that said, it is possible that Underwood and Fisher are actually aiming to have more children rather than just one brother or sister for Isaiah. Another source claims that Underwood plans to slow down by 2017. She is now busy with her tour, her latest album, and attending awards but a source noted that she wants to focus on her family in the coming year. The insider shared that Underwood has been joking about “baby making” as her next project once her tour finishes. If that is true, she would definitely be more of a stay-at-home mom to take care of her son Isaiah and herself once she gets pregnant. Just recently, Underwood and Fisher have celebrated their sixth year anniversary. The two were in Mexico to celebrate the milestone. She shared in the caption that God puts them together and continues to bless their marriage. Underwood also talked about how thankful she is for having Isaiah and that she cannot wait for what the future holds for her and her family. It is unclear, however, if Fisher has plans of slowing down anytime soon. The NHL player is quite busy with his schedule as well. They are yet to comment on the reports.